It’s a long way to Thailand, so if time allows tag another location on to your stay at Kanlaya’s. 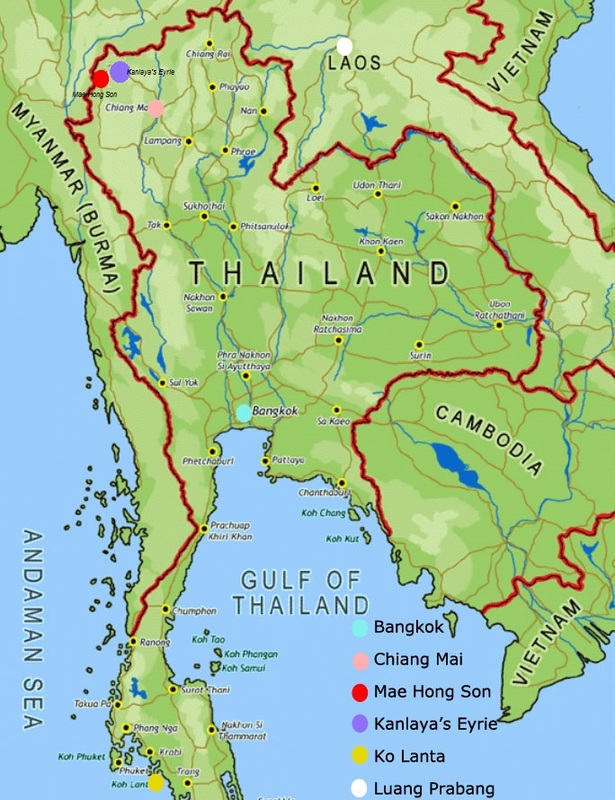 Our own two favourite destinations, easily reached from Chiang Mai are Ko Lanta at the furthest reach of the Andaman Sea and Luang Prabang in Laos. Ko Lanta is the most southerly of the larger Thai islands of the Andaman Sea, well beyond Phuket and much nicer. Famed for the superb coral sand beaches that flank its western shore, and magnificent sunsets, the further south you go the better it gets. 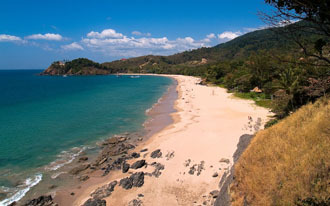 Kantiang Bay regularly features in reviews of the world’s best beaches. We love the charming Top View Guest House http://topviewresort.wordpress.com/ perched on a rocky promontory above. Family owned by the idiosyncratic “Man with no shoes,” who flew bare foot on his first visit to Bangkok, bought the biggest car in the showroom for cash and drove it home still shoeless, it’s simple, charming, amazing value and has magical views. They will meet you off the ferry, take you fishing, farming, to the market and cook whatever you wish as the blood-red sun sinks in the west. There are other hotel options as you go up the price scale: www.srilantakrabi.com situated on Klongnin Beach is a 3* resort with 4* Spa and Swimming Pool offering rustic villas in 12 acres of natural landscaping; www.crownlanta.com is a majestic 5* hotel situated on a spectacular elevated peninsula with two private beaches and is located at the north of the island near the port of saladan where there is much more nightlife, shopping & an abundance of restaurants; www.thehouben.com is a small 4* boutique hotel with swimming pool and beatifully designed bedrooms located further South near Kantiang Bay & the Top View Guest House. A short walk along the beach from here gives way to the coconut palms that shade the heavenly restaurant, Same Same but Different. Fly to Phuket direct from Chiang Mai, transferring by ferry to Phi Phi Don and jump ship to the smaller onward ferry for Ko Lanta, total journey time about seven hours, or stop over night in Phuket. Alternatively Air Asia are now flying from Chiang Mai direct to Krabi with return flights from Krabi to Bangkok. 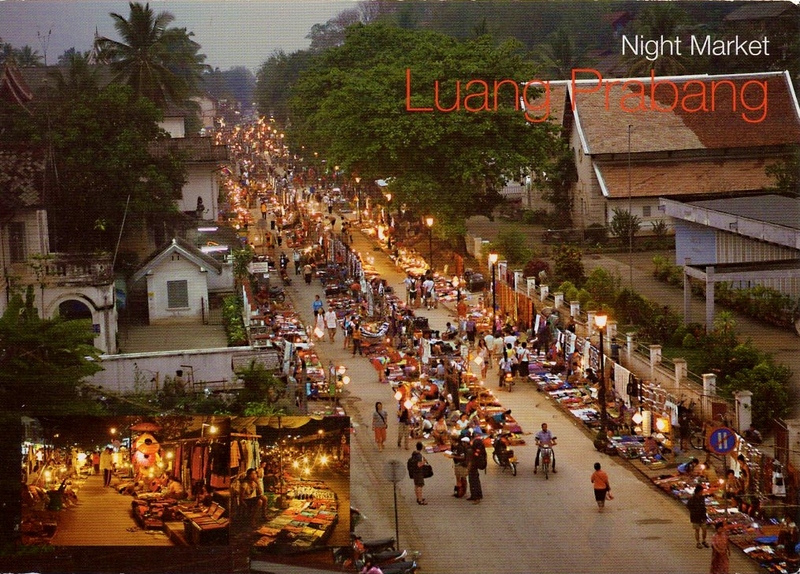 Luang Prabang was the French Colonial capital of Northern Indochina, and before that royal capital of the Plain of Jars. It richly deserves its World Heritage status, with charming French colonial architecture from the turn of the 19th century, intermingled with a profusion of exquisite and richly adorned temples. 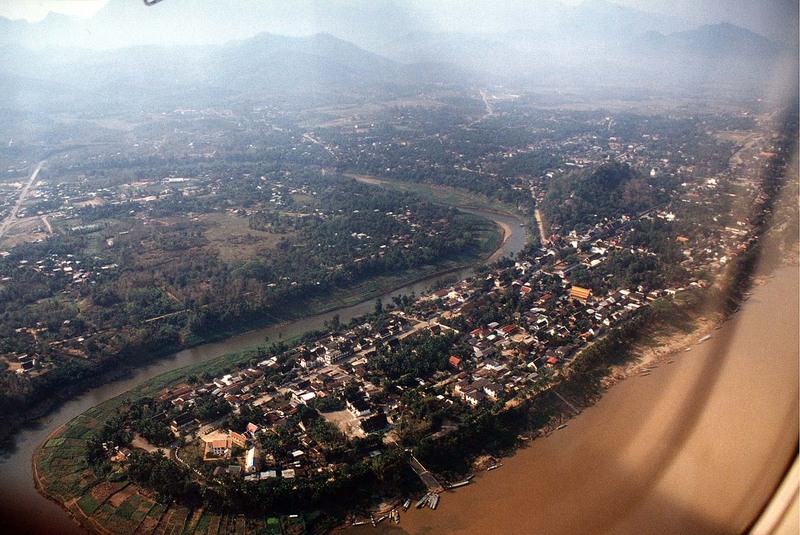 The little town occupies a peninsular at the confluence of the mighty Mekong River, the world’s tenth largest, and one of its principal tributaries. The scenery is spectacular, jagged limestone peaks, dense jungle and very simple tribal villages. 95% of the Laos population is rural and you will see a way of life little changed for centuries. 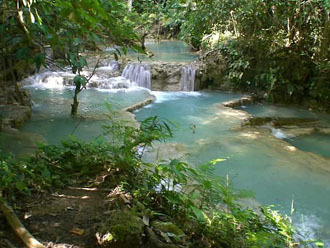 Visit magnificent waterfalls and take a long tail boat on the river to sacred Buddhist shrines and caves. At night dine on the precipitous banks of the river and stroll the market, one of the finest for silks and weavings in the Orient. Fly direct from Chiang Mai, a low level flight of around an hour, or take the Slow Boat from the Golden Triangle three hours’ drive north of Chiang Mai for a two day cruise down the Mekong. Be warned though; book the luxury boat, not the public river bus if you want the best. rated in the world's top twenty beaches."